The estimations were exceeded by the high number of lottery tickets sold this week and the jackpot climbed well above the $320 million threshold predicted after the Wednesday draw. Players were drawn by the huge prize and kept purchasing tickets until one hour before the draw, hence bumping the total amount of $18 million. 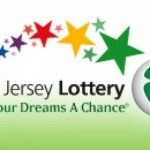 Now the media is looking for the lucky winner, as lottery officials announced that the winning ticket was purchased in the state of New Jersey, but didn’t give any additional details. As lottery prizes go, Powerball is one of the games that stands at the top of the food chain with jackpots that frequently exceed $100 million. It is only natural to be so given the fact that the jackpot is reset to $40 million each time someone is lucky enough to match all the five numbers plus the Powerball. Last year the record was broken and two players split the largest jackpot ever awarded by this lottery, while this particular prize ranks fourth on the list. 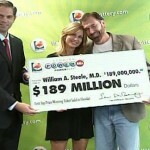 The record is held by the Mega Millions which awarded more than $650 million dollars one year ago. 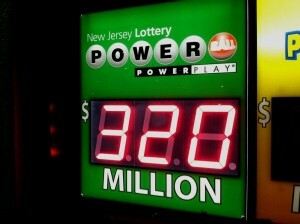 The winning numbers were 17, 29, 31, 52, 53 and the Powerball was 31 and it looks like one player from New Jersey matched all of them. For his or her performance the lottery will award $338 million and if the winner chooses to receive the lump amount the sum will be reduced to $211 million. If history can serve as an indicator, there is a very good chance for the winner to opt for the lump-sum as this is the way in most Powerball winners chose to receive the prize. As always, the media are channeling its attention on the elusive winner and hopes to reveal his or her identity as soon as possible. Lottery officials are very cryptic in their announcement and will have to wait until the winner steps forward to claim the prize. Additional details about the winning ticket will be released on Monday, but some interesting information has transpired about the other new millionaires created by the Powerball. Besides the massive jackpot of $338 million, the lottery will award 13 prizes of at least $1 million for those who matched the first five numbers without the Powerball. Those who were inspired enough to pay the additional dollar and activate the power play option, will have their million doubled, while the rest will have to settle for a net amount of roughly $700,000. This is the actual prize that they will be credited after the state and federal government get their share through taxes. 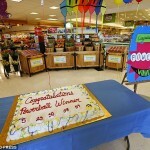 Lottery officials have revealed the fact that Florida and Pennsylvania are the only states where two tickets were sold, with a second tier prize being won in North and South Carolina, New York and New Jersey, Arizona, Ohio, Virginia, Minnesota and Illinois. 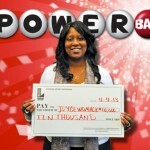 Check out The identity of Powerball jackpot winner finally revealed as well.